Below are some of the changes we have made at Expanded Polystyrene Supplies to save our planet. The manufacturing of Polystyrene (EPS) is a low pollution process. Steam is the key ingredient and the water is re-used many times. EPS contains no CFC’s, HCF, HCFC’s or fibre, it has a zero ODP rating and is not noxious and is physically and chemically inert. It contains no known biological or physiological irritant. Thousands of tonnes of EPS are recycled every year in the UK and is then used in the making of items such as replacement hardwood decking, garden furniture and roof tiles. We recycle 100% of our polystyrene waste, 80% of our waste goes into our compactor, our machine then compresses the waste down into a solid briquette, which will then be re-used to manufacture other items such as garden furniture. The other 20% goes into our chipping machine, the random shapes are perfect for packing fragile items. 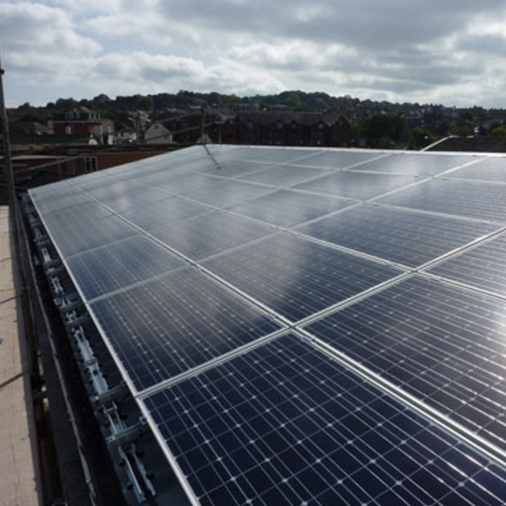 In 2011 we installed 51 PV Solar Panels onto our building, with an estimated annual generation of over 7000kw. Solar energy is an alternative for fossil fuels as it is non-polluting, clean, reliable and renewable source of energy. In 2015 we decided to reduce our carbon footprint even more, we installed LED lighting to every light fitting inside and outside our building, LEDs are extremely energy efficient and use only a fraction of energy, up to 90% less power than traditional bulbs.